We’ve seen it happen time and time again. A company starts off with great fanfare, led by a charismatic and visionary leader. She brings it to new heights and grows it year after year. There is much clarity in what the company does. It attracts a loyal and growing following of customers and fans. Every action the organisation takes is aligned to its core values and beliefs. Employees who work there are passionate about what they do. They resemble acolytes of a religious cult in their zeal and fervour. Suddenly, the CEO resigns, retires or is booted out of the organisation. Initially, the momentum generated still propels the firm forward. Over time, however, it loses its steam. Performance becomes lacklustre until the former leader returns to save the company from ruin. This has happened with companies such as Apple (Steve Jobs) and Starbucks (Howard Schultz). The answer starts with “Why”. What is the magic ingredient embodied by these icons of business? According to Simon Sinek, these icons of business are able to inspire heroic and massive action in others by beginning with “Why”. 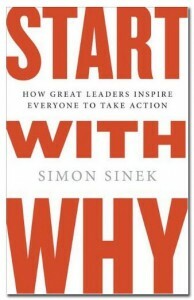 Anchoring its core ideas in psychology and human behaviour, Simon’s book “Start with Why: How Great Leaders Inspire Everyone to Take Action” teaches us that outstanding leaders and organisations achieve a disproportionate degree of influence by following the principles of the “Golden Circle”. The circle comprises three concentric rings with “WHY” in the core, followed by “HOW” and finally “WHAT”. 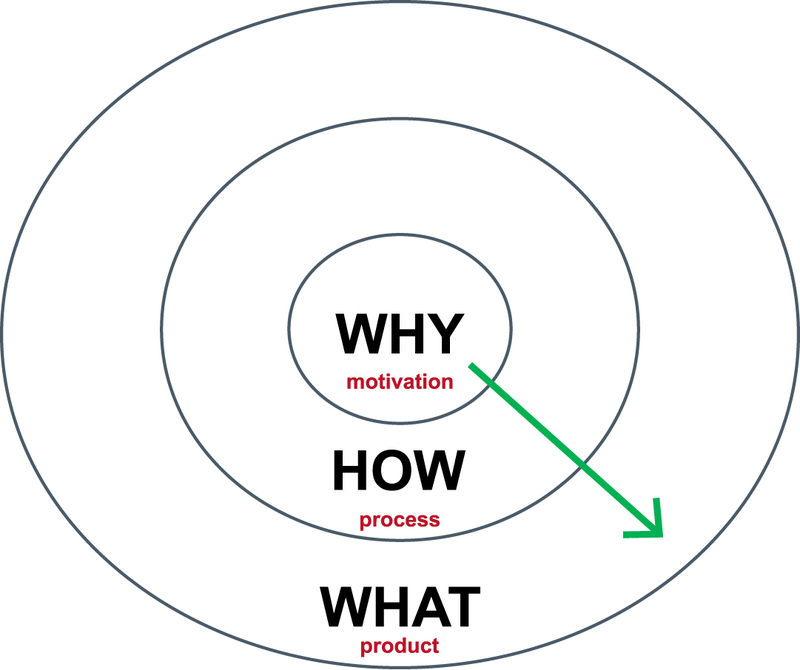 Applying the Golden Circle concept. By beginning with “Why”, inspiring leaders and organisations can leverage on the beliefs and aspirations of their employees and their customers. This allows them to tap onto a deeper vein of trust, belief and passion which transcends the common attributes of competitiveness such as quality, features, benefits, service and price. Indeed, the most successful firms have the clarity of “Why”, discipline of “How” and consistency of “What” – in that order. Drawing upon human biology, Sinek equates the positions of “Why”, “How” and “What” in the Golden Circle with the relative positions of the deeper Limbic Brain and the outer Neocortex of our human brain. The former is responsible for feelings such as trust, loyalty and decision making while the latter handles rational and analytical thought as well as language. This is why companies and persons that can tap onto the intimate recesses of the Limbic Brain through clearly articulated “Whys” are a lot more successful at motivating people to act than those focused on the rational attributes of “Hows” and “Whats”. Examples of such corporations and individuals include Apple and Steve Jobs (Sinek’s favourite example), Southwest Airlines, Wal-Mart and Sam Walton, and civil rights activist Martin Luther King Jr.
Mapping the Golden Circle to organisations. Expanding further upon the concept of the Golden Circle, the book proposes that organisations need to be hierarchically organised in a conical shaped fashion. They need to begin with the “Whys” on top, followed by the “Hows” (staffed by able lieutenants who are great executors), and “Whats” below. It is the “Whats” that the marketplace eventually sees as the ultimate expression of a company’s “Whys”. To exert an inordinate influence, Sinek advises companies to focus on the “innovators” and “early adopters” (re: Diffusion of Innovations curve) to be their key customers. This group would likely be more loyal and adventurous, embodying the spirit of the organisation as well as the beliefs of its founders. Towards the end, the book warned one against losing one’s “Why” by being too obsessed with the machinery of the organisation or the wishes of the stock exchanges. To sustain an organisation’s core business over the long haul, it is necessary for the organisation to continually hold on to its mission, vision, beliefs and values. These “Whys” need to then be made concrete in the organisation’s DNA and culture so that it can survive the departure of its founder. An inspiring guide to building business influence. Overall, “Start with Why” is a great and motivating read for those looking to be inspired wherever they are. Deceptively simple, yet elegantly written, the book demonstrates through numerous examples how businesses and brands can deepen their kinship with employees, customers and other stakeholders. 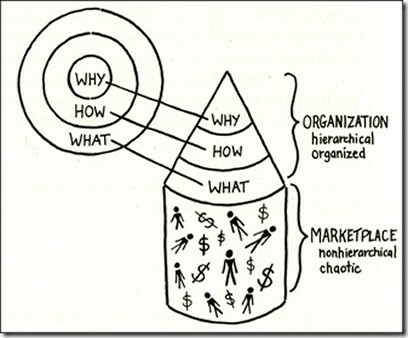 In a way, starting with “Why” is about diving deeply into your organisation’s core narrative. It is about encouraging and inspiring others to buy into one’s organisation and brands by igniting their beliefs rather than through bribery, coercion of generous rewards. Ultimately, starting with “Why” is all about sustaining one’s business. By doing so, business leaders can better propel their enterprise forward and bring along like-minded followers. This could hopefully transcend the iffy fads and trends of consumer tastes.